Wonderfully fast spreading perennial that creeps along by sending out above ground runners. Hot pink flowers fade to light pink in summer. Excellent choice for patios, curbsides, and lawn substitute.This plant will work in any place where hot, baking sun is a problem. Needs hot weather to break dormancy. Sharp drainage is a must. 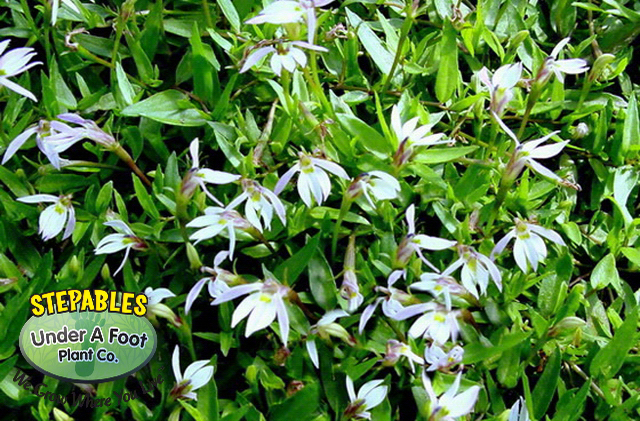 Lobelia chinensis is another heat lover. Give it the hottest part of your yard and watch it grow!